Over the last thirty years the Ems estuary has changed from an open and natural estuary into a highly controlled and disrupted system. Due to adaptations for the benefit of shipping transport and industry, the system has become a sludge importing system, resulting in a brown and turbid estuary with zero oxygen production and an ever-decreasing biodiversity . This disruption is the consequence of an unbalance between the estuary gully-width and estuary tidal-basin. The basin has been decreased due to reclamations, diking and damming and the gully has been widened and deepened for navigation. To revitalize the estuary, this balance has to be restored while at the same time maintaining the agricultural and industrial viability of this dwindling region . 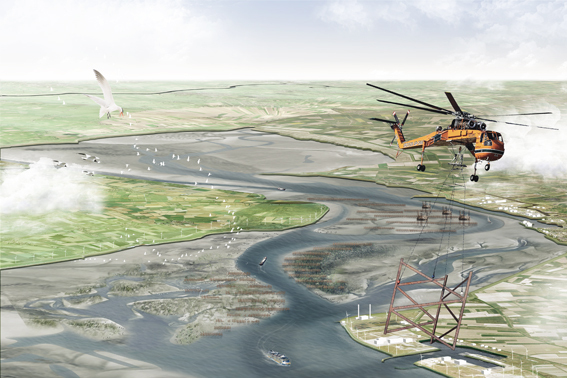 Two new elements are introduced to estuary to restore the balance: tidal polders [3-6] to increase the tidal basin and break waters made from old oilrigs [7-10] to decrease the gully width and tidal inflow. The new elements are designed in such a way that they solve the turbidity problem, form new industries, create new habitats, raise water safety and produce food. Turning the Ems into a hybrid-system with a restored ecosystem, new economic possibilities and remaining accessibility for birds, seals and large ocean cruisers. Figure 1: The problem of the Ems-estuary in summary: A small tidal basin (P) and an unnatural gully profile [A], to ensure enough draft for large ships, results in a system out of balance. Figure 5: Dammed water in the tidal river, to ensure enough depth for cruise ships, is used to flood the tidal polders to create new space for sediment to settle. 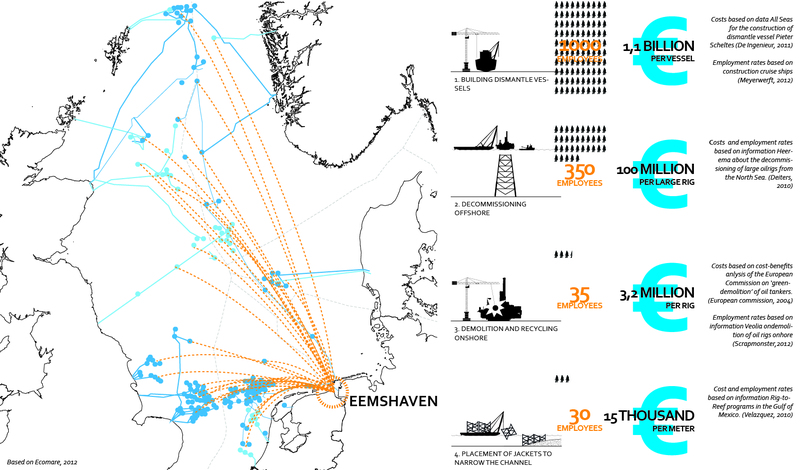 Figure 6: Currently more than 500 oil rigs in the North Sea are waiting for dismantling; a potential €40 billion industry, which could boost the economy of the troubled Ems region. Figure 7 -8: While the top side of the platform is dismantled by metal-processing industries, the jackets are used as breakwater to narrow the gully profile. 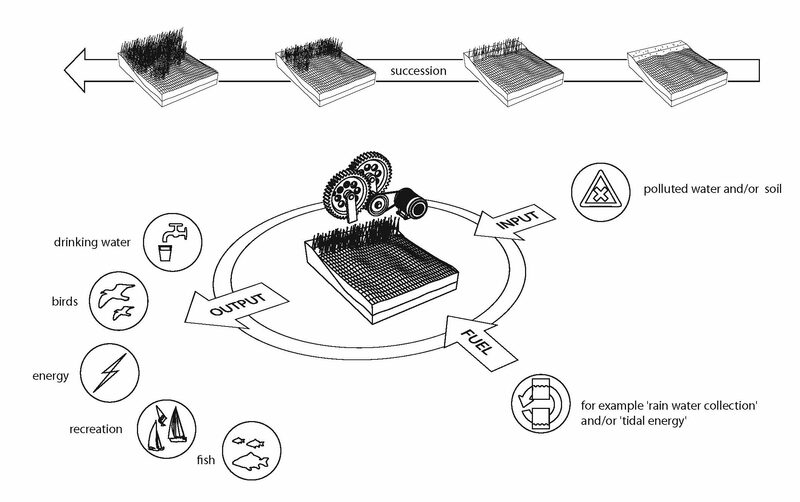 Figure 9: The breakwaters are fascinating objects engaging men, and also attracting high amount of birds and aquatic animals (hard substrate habits 25 procent of all sea life). NextDan Barber is a chef and a scholar — relentlessly pursuing the stories and reasons behind the foods we grow and eat.